There are many types of birth control ranging from hormonal methods that require a prescription to barrier methods that can be found over the counter. There are other types of birth control that focus more on timing and detecting ovulation and fertility times. Birth control is an important part of ensuring that you are protecting yourself against unintended pregnancy as well as sexually transmitted diseases depending on the type of birth control being used. The most important thing to note for sexually active teens is that while many types of birth control are effective, the only way to 100 percent prevent against pregnancy and STDs is to practice abstinence. It is also a good idea to have a clear idea of all the different types of birth control out there, how they work and which method is best for you. When many people hear the term birth control, they make think of hormonal methods like the pill, the shot or the patch. 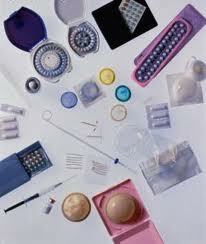 There are many different types of birth control that are of the hormonal variety. Some of the most popular forms of the hormonal birth control is the pill. This is because it is 99 percent effective and only results in 1 out of 100 unintended pregnancies for those taking it correctly. Many like this type of hormonal type of birth control because it can also help with other PMS side effects like cramps, irregular periods, moodiness, depression and more. Other types of hormonal birth control include the implant that can be implanted into the skin of the individual. This must be inserted by a doctor or other health care provider and is often about 400 to 800 up front in cost. However, many health care insurances will pay for all or part of the implant. It lasts up to three years, and you don’t have to worry about taking a pill daily. However for teens that are concerned about their parents knowing their desire to get on birth control, a better way to get on a type of birth control like this is to consult a women’s health center like Planned Parenthood where the process can remain confidential. Doctors are also legally obligated to not tell anyone about your desire to get on birth control. The depo shot is another popular type of birth control and must be given by a health care provider every few months. It also takes away a woman’s periods because there is no need to ovulate, when you are trying to prevent pregnancy. The intrauterine device is another popular form of birth control and also must be administered by a doctor. It typically is effective for up to five years. The patch is another type of birth control and must be replaced once a month. However, in recent studies this method of birth control has been known to have increased risks of side effects. All hormonal birth controls do come with some side effects, however like stroke, heart attack, blood clot and more. Women who are over the age of 35 or if they smoke are an increased chance for these risks. Because the hormonal methods of birth control are so effective, many women will overlook the risks that come with taking these types of birth control in order to not get pregnant. Hormonal birth controls are also not effective against protecting against STDs. These are the types of birth control that are readily available over the counter and do not require a prescription to get access to purchase. Many teens use barrier types of birth control because they are easier to buy without their parents knowing. However, many teens should not be afraid to talk to their parents about birth control options and the various types of birth control to consider. Spermicides, sponges, the female condom, diaphragm, cervical cap and condoms are just some of the many different types of barrier methods that can be used to prevent sperm from fertilizing a ready egg. Many barrier types of birth control are also effective against STDs. For those looking to go the natural route, fertility awareness-based methods are among the most safe because there are no medical or physical side effects. You simply have to learn how to track your fertility. Most women are only fertility directly before, during and after ovulation time. This is a period of about 10 days throughout your monthly cycle. However, if you do not know how to accurately tell when you are ovulating, it is not a very safe method of birth control. If you are interested in learning more about being aware of your fertility, it is important to find a health center that has classes offered to teach about natural family planning as well as fertility awareness. Because teens have such irregular cycles, FAM and NFP might not be the most effective types of birth control. Similarly withdrawal is often used by teens to protect against pregnancy. However, this is another ineffective type of birth control because it can be difficult to manage effectively and to prevent precum from fertilizing that egg. Teens should be weary against using this type of birth control. Ultimately the best way to choose between the types of birth control to find the one that is best for you, is to find one that works best with your cycle by talking to your health care provider or a parent to get the best advice on which type of birth control is right for you.